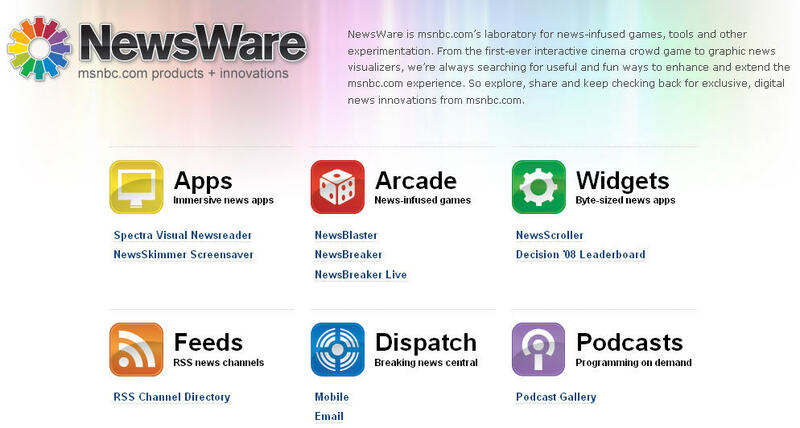 MSNBC has unveiled some innovative ways of getting the news at NewsWare, its “laboratory for news-infused games, tools and other experimentation.” Among them: two “immersive” news apps (a customizable newsreader and a screensaver), a couple of news widgets and two news arcade games. 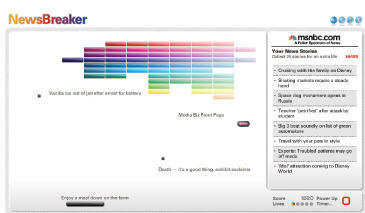 The colorful Spectra newsreader isn’t hard to set up but it’s a little confusing. I’d expected to be able to click on a rotating headline box to get more information about that story, but instead the stories pop up in a pre-determined order. 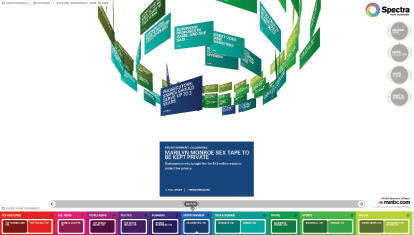 I’m not sure they’re for me, but kudos to MSNBC for experimenting.